The athletes had some fun during the Saturday night group photo. Another successful Champs Camp is in the books! The U.S. Figure Skating High Performance Department welcomed 40 athletes and their coaches to the Olympic Training Center and Colorado Springs World Arena for the five-day camp. As always, camp started with a keynote speech, this year delivered by Paralympic gold medal sled hockey player Andy Yohe. 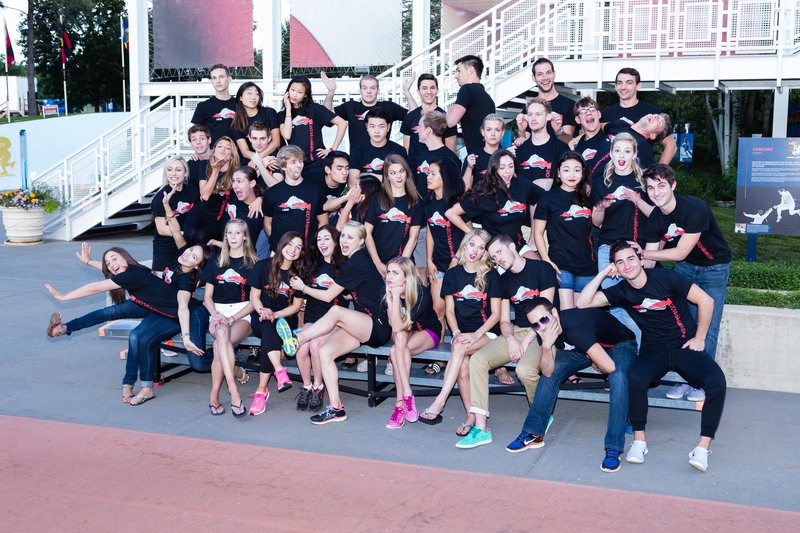 The trip to The Centennial State also included photos shoots, meetings, a presentation by celebrity makeup artist Robin Black, multiple practice sessions, team building and closed-door competition simulation that allowed athletes to receive feedback as they prepare for the upcoming season. Some athletes have already competed in summer non-qualifying competitions, some debuted their programs in Colorado Springs and many, including Alexa Scimeca and Chris Knierim, begin their 2014-15 campaign in just two weeks at the 2014 U.S. International Figure Skating Classic in Salt Lake City. Of the 40 athletes on hand, a quarter of them participated in their first Champs Camp. The rookies were the most excited, and probably the most tired. Angela Wang referred to her brain as fried on more than one occasion but still relished the opportunity to be invited to camp. Check out this Facebook gallery for photos taken by U.S. Figure Skating staff and those shared by our athletes. Enjoy!